The rehab is not complete. Zubin Mehta has been called in to conduct Otello in place of Gatti at the Baden-Baden Easter Festival. 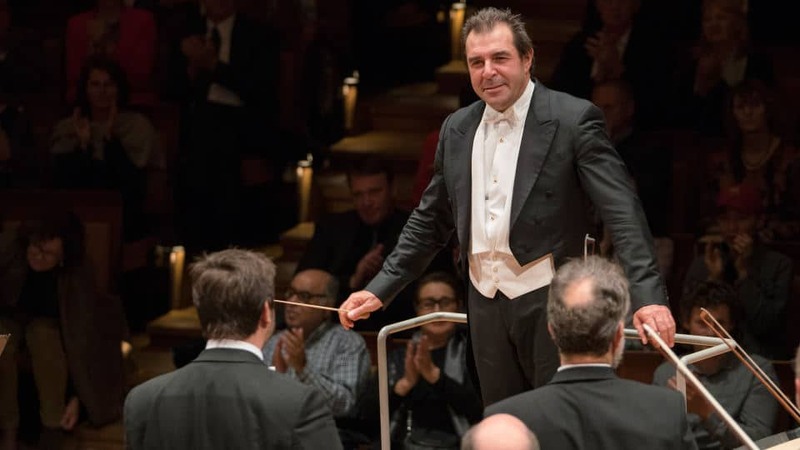 The Festspielhaus and Festspiele Baden-Baden GmbH and the Stiftung Berliner Philharmoniker learn with much regret that Maestro Gatti is not in the condition to conduct the performances of „Otello“ and the Bundesjugendorchester in Baden-Baden and the concertant performances of „Otello“ in Berlin in April 2019. Future collaborations with Daniele Gatti in the forthcoming seasons are not affected. Er, he knows he is going to be unwell next Easter? “In the condition” means more than unwell. It can be many things and all personal. The point here actually is “Future collaborations with Daniele Gatti in the forthcoming seasons are not affected”. There isn’t any chance to turn it in anything else than just a change of schedule. It’s happens with everyone in this business. With everything he went through, the accusations, the firings, ruined reputation and almost destroyed career, is there any wonder that the stress has adversely affected his health? I think it is unkind and unfair to accuse him and the opera company of some plot to keep him away. Even criminals, and I am Not calling him one, don’t deserve heart disease, so show some charity and wish for the man’s recovery. Maybe you should also cry for his victims. The Concertgebau certainly thought him guilty since it did its own investigation and dismissed him from all posts. One can make of this what one wishes, but the position expressed there is that his absence is for health reasons. (ANSA) – ROMA, 6 DIC – A causa di un problema di aritmia cardiaca verificatosi nella notte fra il 4 e il 5 dicembre, il maestro ‪Daniele Gatti è costretto a rinunciare alla recita di Rigoletto in programma stasera, giovedì 6 dicembre. La recita sarà diretta dal maestro Stefano Ranzani. Lo comunica il Teatro dell’ Opera di Roma. ”Le condizioni di salute del maestro Gatti sono già in fase di miglioramento, ma gli sono necessari alcuni giorni di riposo. Tornerà sul podio dell’Opera di Roma a partire da domenica 9 dicembre, per dirigere le restanti recite di Rigoletto in cartellone”. The Festspielhaus and Festspiele Baden-Baden GmbH and the Stiftung Berliner Philharmoniker learn with much regret that Maestro Gatti is not in the condition to conduct the performances of Otello and the Bundesjugendorchester in Baden-Baden and the concertant performances of Otello in Berlin in April 2019. Future collaborations with Daniele Gatti in the forthcoming seasons are not affected. No big deal. Mehta means only one additional brown bag full of cash. He’s on the decline. Even a Mehta on the decline can still conduct a decent Otello. I don’t really believe that the prospect of -as you put ir- an “additional brown bag full of cash” was the great attraction. Mehta has already earned all the money he’ll ever need. If you think his powers are waning I’d like to know your reasons for saying so. Boy, does this “industry” need a shake-up! Wow, way to assume things too quickly, Norman. Norman is all heart. Not! I wish he’d talk a bit more about music, which is what we’re here for. Norman invites us all here to join him in his personal crusade against all and everything that offends his neo-liberal sensibilties. He has heart problems. A heart attack.